Considered a superorganism they are the only insect to produce food consumed by humans. Living in colonies of up to 50,000 all their activities are for the good of the colony. 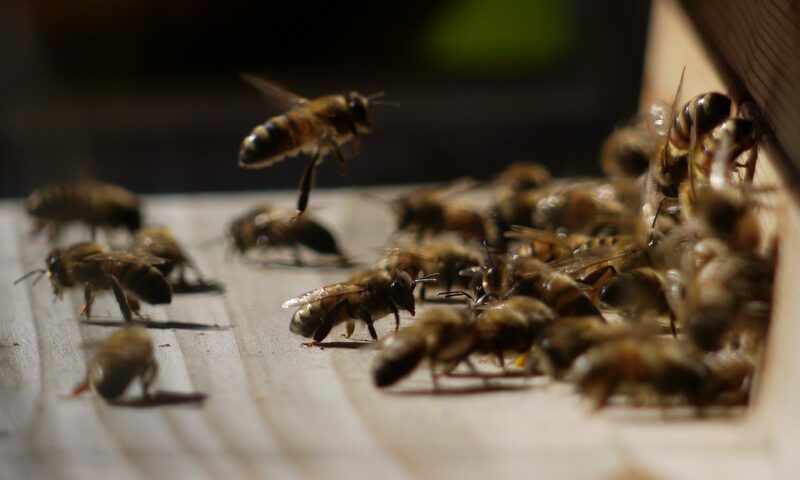 There are 3 types of bee within a colony – Queen, Drone and Worker. Honey bees are unique amongst bees in that they survive as a colony over the winter. To do this they store honey – a portion of which we, as bee keepers harvest. Since they overwinter in large numbers they are a vital pollinator for our early crops at the first signs of Spring. 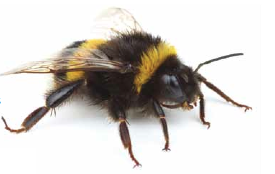 Many calls from the public asking for help with bees are related to this bumble bee. They like to nest close to human habitation – bird boxes, house eaves, gutter boxes etc. These bees are best left alone. They move out at the end of the summer and don’t cause long term problems. There are 24 species found in the UK. We all know the Bumblebee and tend to think of the big Queens that first emerge in early spring seeking food and a nesting site. Like honeybees they live in colonies and the Queen is one of the first signs of spring. 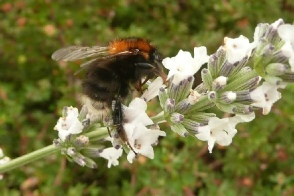 If you would like to know which Bumblebee you have seen then click here. There are 200 species of solitary bee in the UK they include Masonry, Hornfaced, Carder, Leaf Cutter and many more. Solitary bees appear in the garden as early as March. Solitary bees look similar to Honeybees and are often confused with them. Solitary bees live alone and make their nests in holes in the ground or take up residence in what we consider to be insignificant spaces. These are not bees although they are closely related. Wasps live in colonies up to 12,000 depending upon the species. If you have wasps contact your local pest controller, beekeepers will not dispose of wasp nests. A wasp nest can be found anywhere from a loft to a hedgerow, their nests are complex structures made from paper.